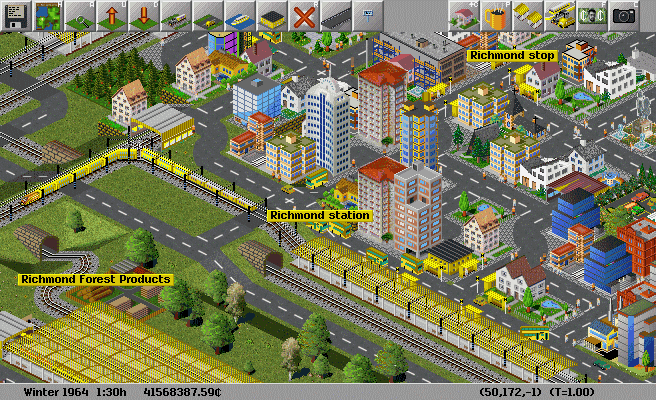 Simutrans is a SimCity-style transport and economic simulation game. You can build the railroad networks with platforms, discharging quays, level crossings, signals and much more. Create your own bus company: transport people throughout the city and help make cities grow by laying out bus routes. Explore just how many industrial choices and connections are available. 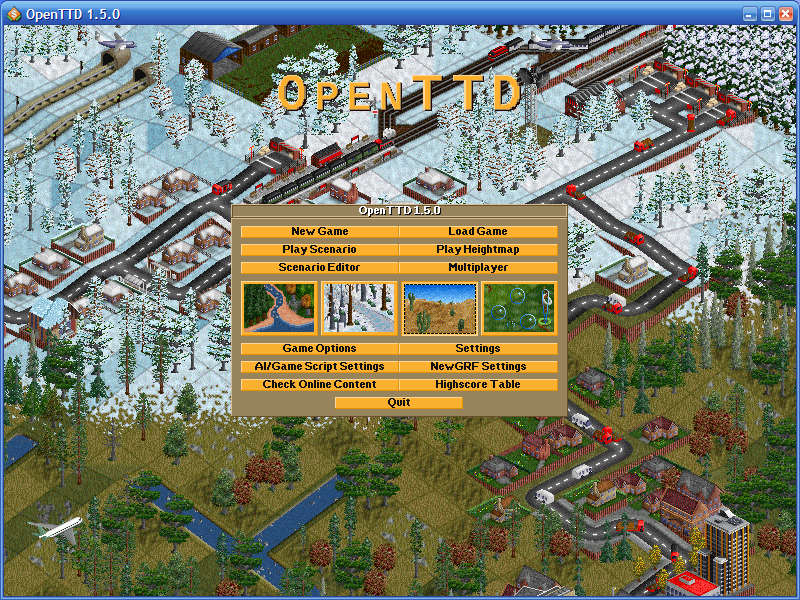 Note: the graphics of the game are available through downloadable paksets. You can also use download-paksets.exe in the game's root directory. How to extract: Download the ZIP package and extract to a folder of your choice. Launch simutrans.exe. Charming old-school graphics, seems to have a fairly active community, constantly updated, now at v112.3, don't know if portable. The current website link points to the 128 bit 'pakset' page, Simutrans main site is at http://www.simutrans.com/en/. This entry needed a desperate clean-up and update. I've replaced the pak128 download link with the actual game and added a note about the graphics paks. The rest of the entry has been updated appropriately. Bowling Evolution is a realistic bowling game for PC with online highscores. It features realistic physics, multiple balls, a multiplayer mode and replays. It was terribly slow on my hyperthreaded machine. Nothing terribly exciting. And yes, it does leave traces. My Revo Uninstaller found and removed them. Glad I didn't try it at work. Please note version 1.10 is now up. Truck Dismount (also known as Rekkasturvat) is a simple game in which you send a ragdoll speeding (or creeping) towards a wall by means of a truck. Your goal is to inflict as much damage on the ragdoll as possible, and there are a variety of tools you can use to help make your crashes as spectacular and damaging as possible. This is such a fun time waster. I love it. 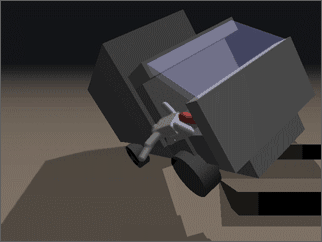 I love Truck dismount and I am French!I like Stair Dismount . In my dad's computer, I make a score near to 200,000 points!